The rapper has also passed Lil Wayne for the most hits among soloists in the countdown's 58-year history - with 154. 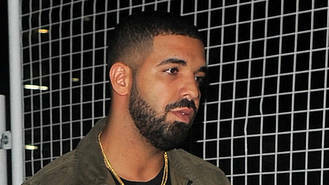 All 22 tracks from his chart-topping album More Life have hit the new chart, as well as two other hits, passing his own one week mark by four. The haul of hits helps Drake roll past Lil Wayne's 135 mentions on the chart. He's now 53 Hot 100 hits behind the Glee Cast, who charted 207 times during the TV show's run. Elvis Presley is the only other artist who has hit the Hot 100 over 100 times. Drake's new records come a week after his pal Nicki Minaj passed Aretha Franklin for the highest total among female soloists. Minaj has now chalked up 77 Hot 100 entries thanks to her appearance on Jason Derulo's Swalla, which debuts at 98. Drake's Hot 100 haul runs from his Minaj collaboration No Frauds at 84 to Passionfruit and Portland debuting at number eight and nine, respectively. He and Ed Sheeran are now the only two artists to have debuted two songs in the top 10 in the same week. Meanwhile, Sheeran chalks up another week at number one with Shape of You. The Brit has now spent nine weeks on top. Bruno Mars' That's What I Like holds at two, while Zayn and Taylor Swift's I Don't Wanna Live Forever (Fifty Shades Darker) returns to the top three. Migos' Bad and Boujee, featuring Lil Uzi Vert, drops to four and The Weeknd's I Feel It Coming rounds out the top five.